The latest amplifier is much more capable, it is based on the boards that are available from Jim W6PQL and capable of delivering about 600W! 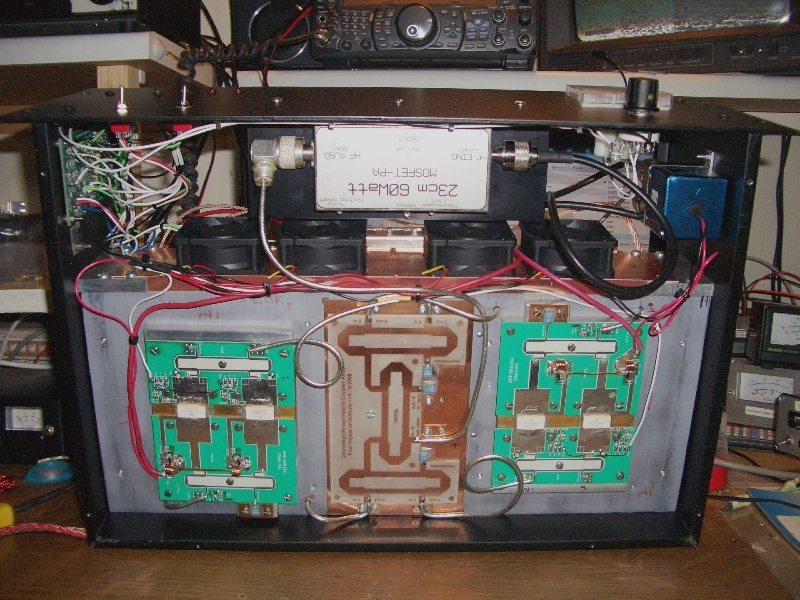 I bought the boards and high power splitter/combiner in late 2009 with intentions of getting it up and running rather quickly but it did not progress until late 2011, just about complete now in July 2012. I did not like the idea of snowflaking and tweaking the amp in close proximity at 500W!! so quite happy with the output power as-is, no need for any adjustment, I just put the lid on and installed it near the tropo antennas & dish. 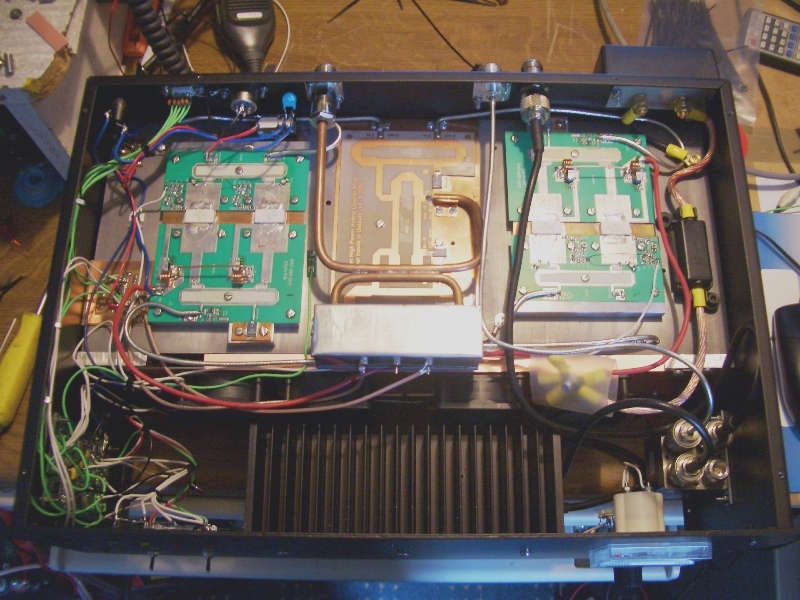 The previous DG0VE 60W amplifier is used to drive the big amp as i only have max 2W available at the end of the coax at the mast where the amplifier will be located. The controller/Sequencer is The ultimate Amplifier Control Board by W6PQL. The home made directional coupler made from 0.25" copper coax works fairly well, i had to enclose the coupled port ends in the tin box to stop RF pickup from the output combiner due to proximity. The output N socket is fairly good quality but had to be bodged to accept the different size coax.. it has held up OK so far!